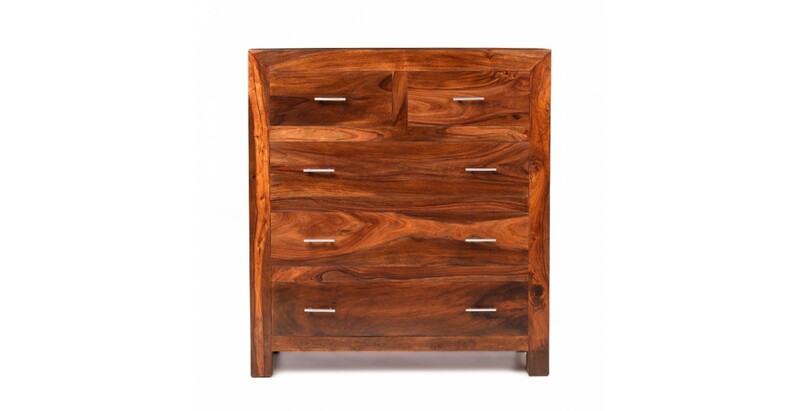 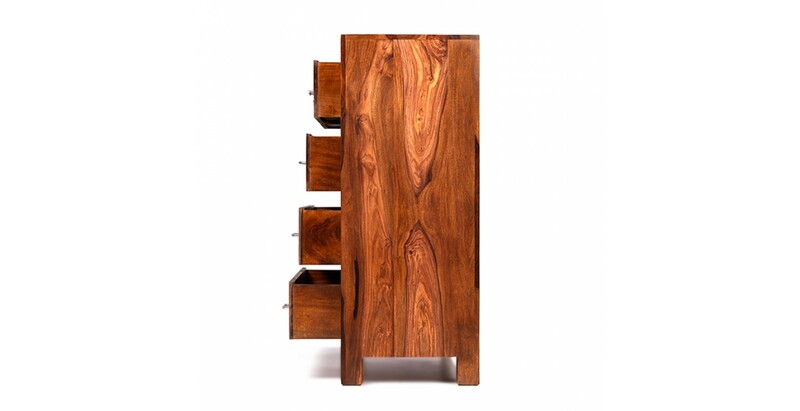 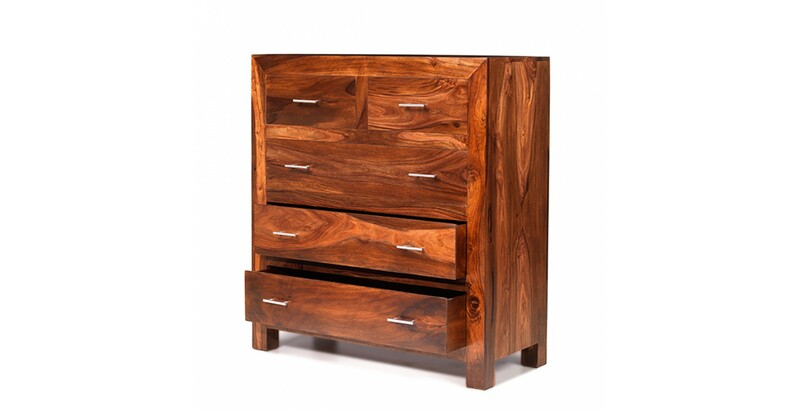 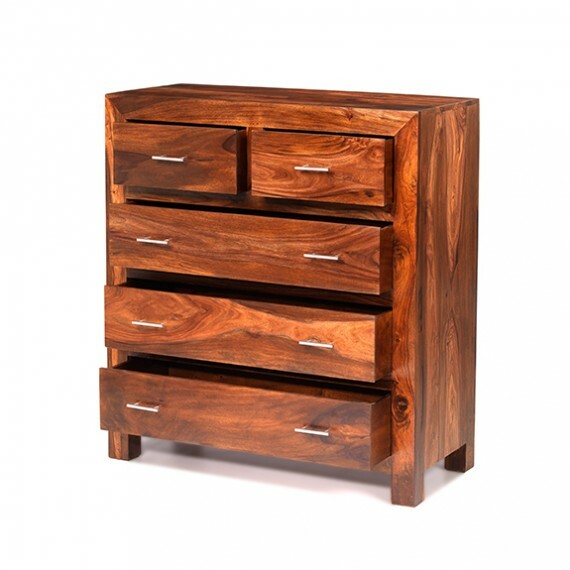 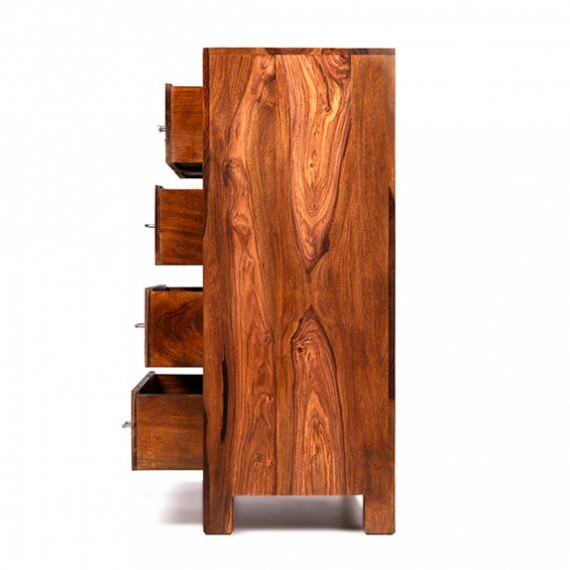 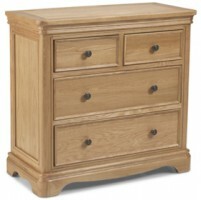 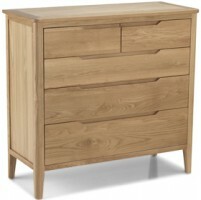 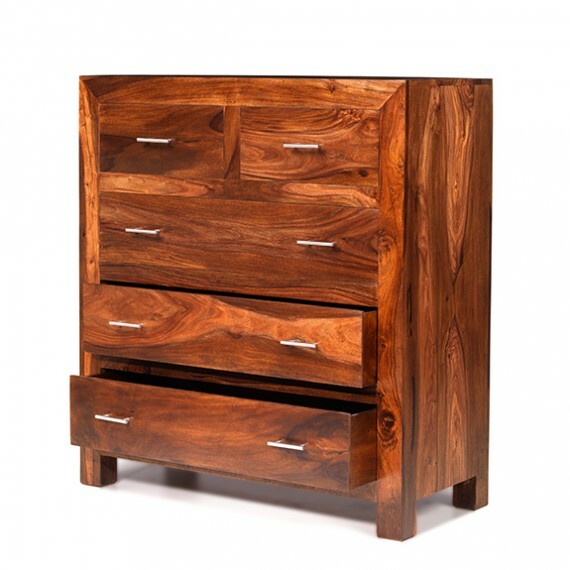 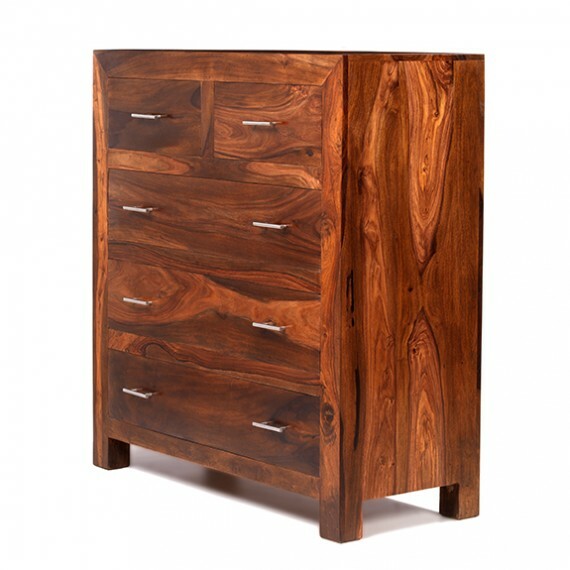 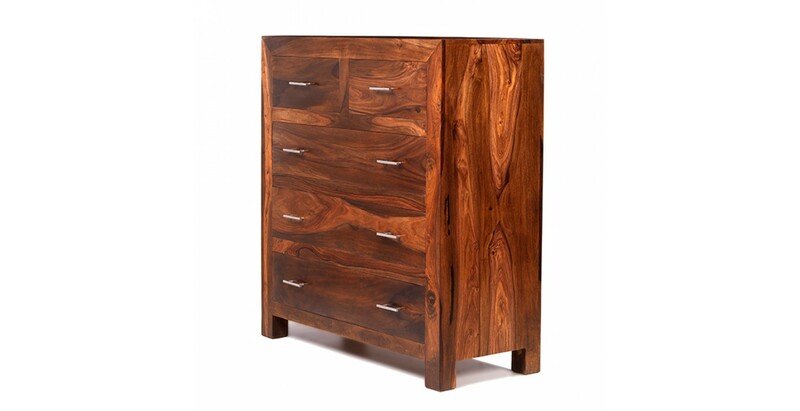 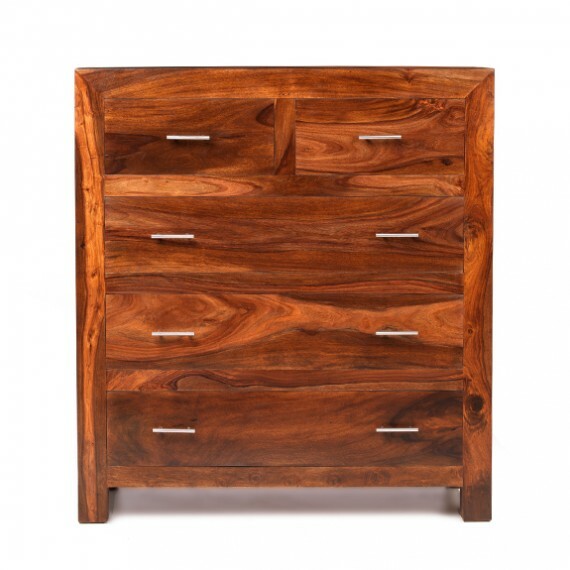 With refined elegance and exotic charm, this modern chest has been made by hand from sheesham wood to offer versatile storage. 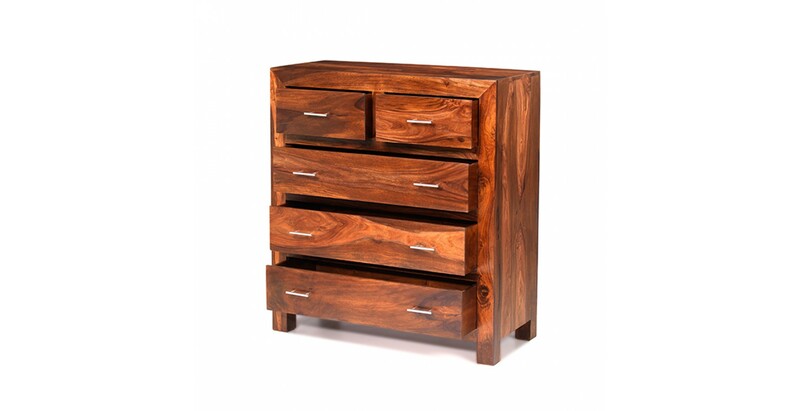 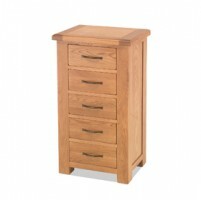 Two small drawers are set over three large, wide ones to keep all your clobber super-organised, with brushed metal handles adding stylish practical accents. 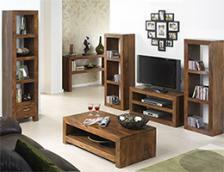 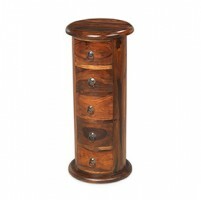 Finished with a wax lacquer to bring the unique grain patterns to the fore, its timeless appearance will work equally well as a standalone piece or in combination with some other furniture from this gorgeous range.